It seems like once a week offers for amazing credit cards--"no annual fees!" "low monthly payments!" 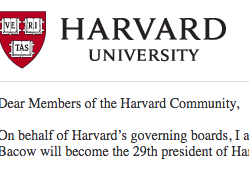 --arrive in each Harvard mailbox.